Last week I filled you all in on my amazing experience at the Blythswood Square Hotel Spa’s thermal experience which you can catch here if you missed it. I was so hooked I was back within two weeks, this time taking my other half along for the experience and a couple of treatments. Is it possible to be a spa addict? This new range, used in the one hour facial are stacked full of raw ingredients from the Amazonian Rainforest that are packed with collagen boosting ingredients that combined with the lymphatic massage used in the treatment helped clear the toxins from the skin while leaving it looking incredibly bright. What I loved about this treatment is thank to the low oil content of the product it is perfect for acne prone skin like mine, the serums she used had wonderful textures and aromas which made the facial so unique. Thanks to the restorative qualities of the plant extracts this make the Rainforest Facial fantastic for anti- ageing and sensitive skin and the low oil content also means the treatment is suitable for anyone in the first trimester of pregnancy. After the treatment I felt completely revived, not sluggish or tired which I have experienced after some treatments in the past. My skin felt superb not only for the rest of the day but well beyond that. The serums that the therapist left on my skin meant my make-up went on like silk and just look so polished and glowing, I couldn’t stop staring at it in the mirror. I can’t say I have ever described myself as ‘radiant’ before but that is exactly how my skin looked- like it had been nourished really deeply and just felt much healthier. The combination of the warm herbal compress, the lymphatic draining massage and the mud mask felt simply divine, as facials go I thought his one was incredibly unique and a wonderful experience to have. I would highly recommend trying this out or even if you want to treat someone this would make the most amazing gift to give. 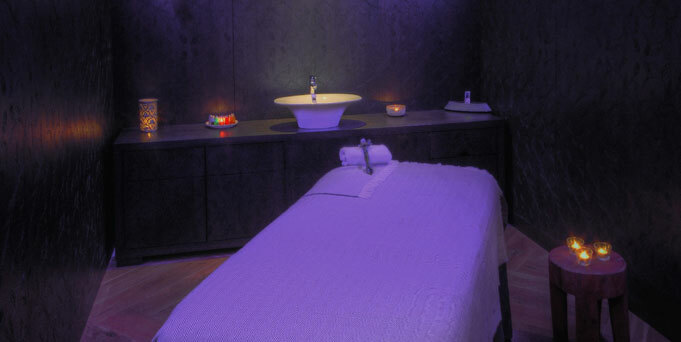 The ILA Rainforest facial costs £80 for one hour and you can book at the Blythswood House Hotel on 0141 240 1622 or email spa@blythswoodsquare.com. That looks amaaaaazing! im def gonna book up soon! Been in for a meal before and it was beautiful!